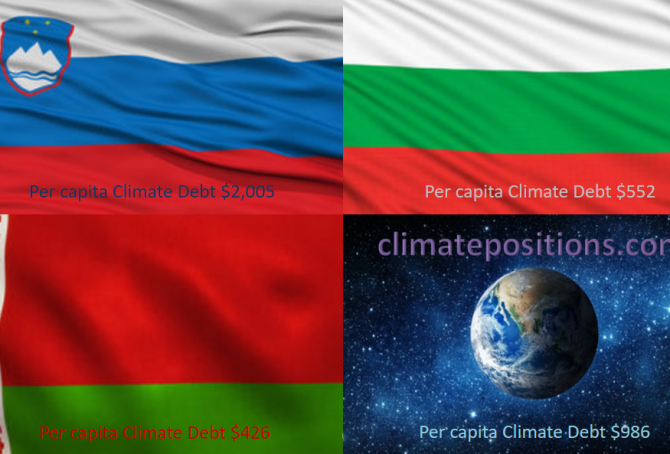 The diagram below shows ‘Share of global Climate Debt‘ in 2010, 2015 and 2017 of Slovenia, Belarus and Bulgaria (ranked 58th, 59th and 60th). The share of Slovenia is decreasing, whereas the shares of Belarus and Bulgaria are increasing rather fast (Belarus had no Climate Debt in 2010). The diagram below shows ‘Share of global Climate Debt‘ in 2010, 2015 and 2017 of Hungary, Slovakia and Serbia (ranked 55th, 56th and 57th). The share of Serbia is decreasing, while the shares of Hungary and Slovakia are up and down. 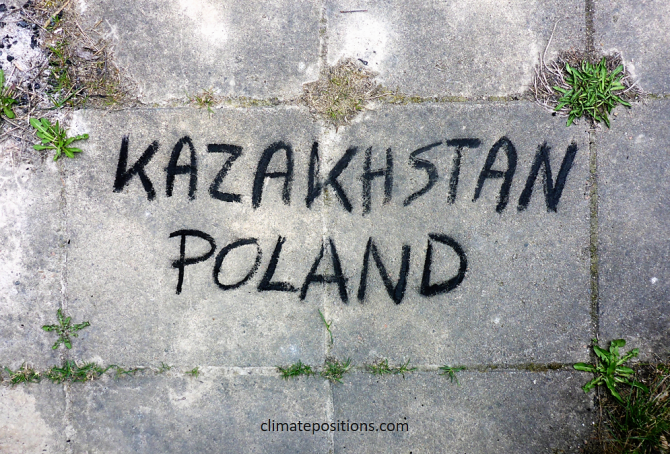 In 2015 Kazakhstan and Poland were the world’s 2nd and 4th largest per capita coal producers. 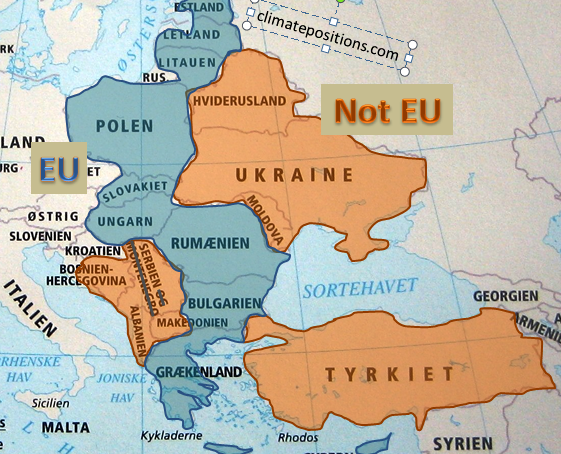 No wonder, the two countries, inhabited by 0.76% of the global population, emitted as much as 1.58% of the CO2 from Fossil Fuels (without bunkers) and cement. The diagrams below show the per capita CO2 Emissions from Fossil Fuels (without bunkers) and cement, annually since 2000. The green bars show the Free Emission Level¹ – the exceedance is the basis for calculating the national Climate Debt. 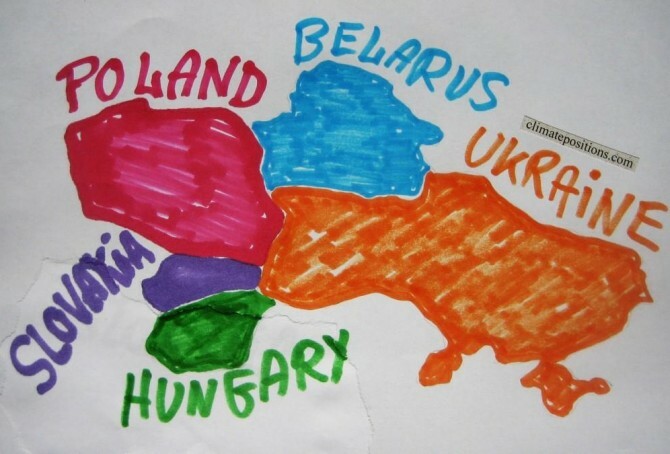 1.5% of the global population lives in Slovakia, Poland, Hungary, Belarus or Ukraine and together they emitted 2.3% of the global CO2 from fossil fuels in 2012 – the joint share of the global Climate Debt was 0.7%. 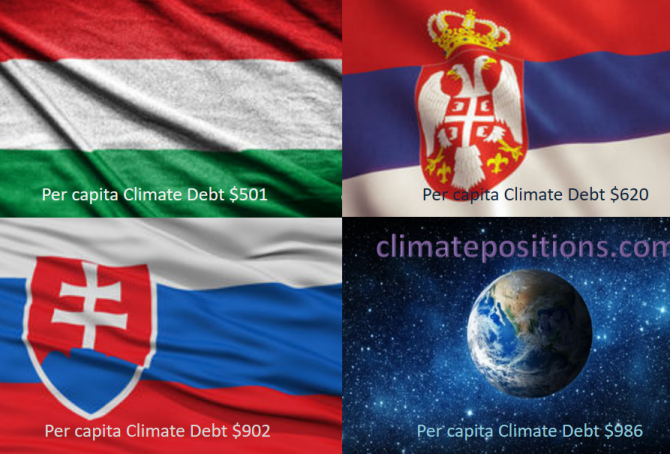 Slovakia’s accumulated Climate Debt per capita is now $640 (in 2014 the ranking was 43rd among 147 countries), Poland’s is $519 (ranked 47th), Hungary’s is $406 (ranked 54th), Belarus’ is $274 (ranked 59th) and Ukraine’s is $168 (ranked 63rd). See the ‘ranking’. The following examines the Climate Debt trends and the indicators of CO2 Emissions from fossil fuels, GDP(ppp-$) and Climate Debt as a percentage of GDP.